Thailand is a beautiful place with several wonderful locations for Digital Nomads, and Chiang Mai topping the list. Thailand is well-known for being a satisfying vacation experience and with good reason. It has some of the world's most beautiful beaches, some of the most delicious cuisine, and incredible historical architecture. No matter where you go in Thailand, you won't be disappointed. However our digital nomad recommendation for Thailand would have to be Chiang Mai. Whether you are looking for something off the beaten path or you hope to get a chance at travelling whilst supporting yourself with your digital skills, then Chiang Mai may be what you are looking for. 1. 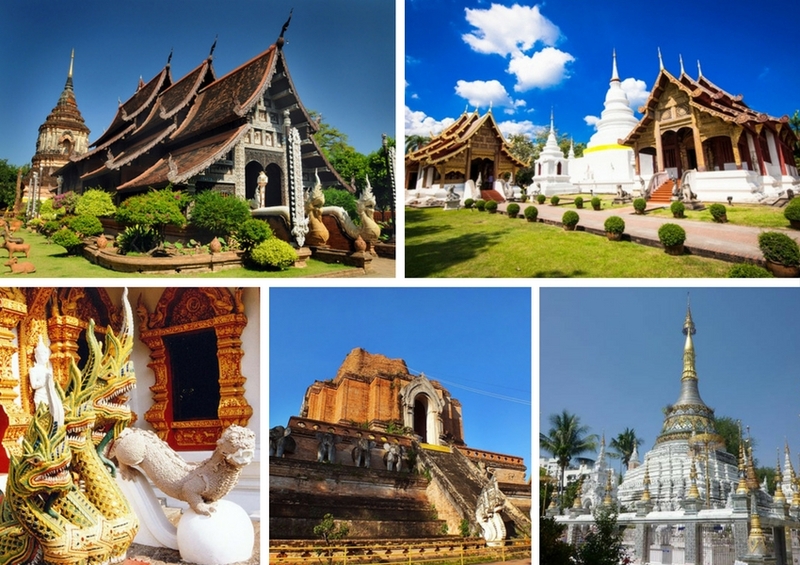 Visit Temples: If you have never been to Thai temples in your life, now may be the time for you to experience what is truly a captivating experience. There are over 200 temples in the area so you have plenty to choose from. There you will discover more than just beautiful architecture, but you will learn plenty about the religion and history of this fascinating culture. 2. Get a Thai massage: While not a tourist attraction, getting a Thai massage can be a highly relaxing experience to ensure that your time in Chiang Mai is the vacation that it should be. This is a great idea for you to do upon arriving to Chiang Mai to help stretch out your body and relieve any pain associated with long hours of travel. 3. Learn how to cook Thai food: Cooking classes are highly popular in Chiang Mai and with good reason. The food is delectable. As you explore the Thai cuisine and get to know your favorite dishes, you can learn how to cook them for when you return home. Who wouldn't want to wow family and friends with an amazingly delicious and exotic meal? 4. Go to a night market: If you want to enjoy a local experience, go visit the night market and enjoy all types of local cuisine and snacks while observing the smells and sights of Chiang Mai culture. They also sell goods there, but most of them aren't the highest quality. Still, it's worth experiencing shopping at the night market, at least once during your stay. 5. Take a trip to Doi Ithanon National Park: While not in the city of Chiang Mai, it is close enough for you to take a trip any time to appreciate what is one of the most beautiful national parks in the country. If you like hiking, you will love the fact that the Doi Ithanon mountain is the tallest one in Thailand and with its height, it offers breathtaking views. One such view will be of the Doi Ithanon temples, so make sure to bring a camera. 6. Elephant Jungle Sanctuary: While not every elephant "sanctuary" should be visited, due to inhumane conditions for the animals, this place truly is a sanctuary for the elephants where they are treated well, don't perform tricks, and are forbidden to be ridden. This is an experience for those who love elephants and want to be near to these beautiful animals in a safe environment. 7. Go cycling throughout the city. Cycling is one of the best ways to get to know the city and visit as much as possible, stopping wherever you want to, is to rent a bike and go cycling. Just make sure to map out your trip ahead of time to avoid getting lost. You can visit temples, markets, and get a close and personal perspective of this fascinating Thai city. 8. Walking Tour of Chiang Mai. The city walls were built at the time of the city’s founding. Like other cities of the period, Chiang Mai was built according to traditional astrological and religious principles. This meant that every aspect of the city’s layout, including walls, gates and moats, were designed to appease spirits and gods so they’d protect the city, making Chiang Mai a perfect walking city. 9. Go zip lining near Chiang Mai. If you want to do something different and get out of the city for a bit, there are plenty of places that offer zip lining tours through the jungle. It is a fun and satisfying experience and you will get to be in nature for a nice break from "city life." If you are in town with your kids, this could be an activity that they will most likely enjoy. 10. Visit as many local restaurants as possible. It's no lie that the food in this area is truly some of the best in Thailand. There are many places that only cook with fresh and organic ingredients. If you like exotic flavors, a tour of the best restaurants in Chiang Mai is a fantastic idea. While your focus should definitely be on Thai food, you can also find other gourmet restaurants with international cuisine. Most of the digital nomads travelling through Thailand arrive in Chiang Mai to relax and enjoy the company of locals and expats from around the globe. Part of the attraction of the city is that it's not as Westernized as many other areas, even though you can browse English bookshops and dine on international cuisine. The low cost of living coupled with a transportation system that makes it easy to get around the city makes Chiang Mai an excellent destination for nomads for a brief visit or an extended stay. Although Chiang Mai has the greatest population in the northern portion of Thailand, it has a small town atmosphere with many cultural attractions. Over the past decade the kilometre-long Nimmanhaemin Road has blossomed into Chiang Mai’s most vibrant strip, a hip and magnetic locale boasting an array of excellent dining, entertaining and shopping options. There’s something else it has in highly appealing numbers: coffee shops. And not just your bland product coffee shops, but highly stylised, cool establishments redolent of the Thai coffee beans – many procured from upland areas in Chiang Mia and Chiang Rai – that coffee lovers find so compelling and easy on the wallet. Great Coffee, fantastic prices and WiFi! Of course, in order to truly enjoy a few days or even weeks of all that Chiang Mai has to offer, you should find a great place to stay. There are a few hotels that offer luxury and relaxation in a private and unique location. 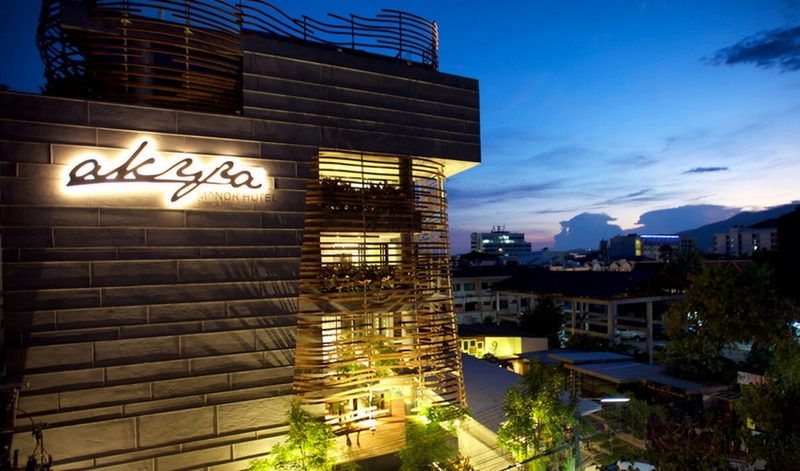 One such place is the akyra Hotel in Chiang Mai. It's a highly chic and popular hotel in a city that is worth staying at. From the friendly staff to the comfortable rooms and excellent rooftop bar service, this is the place where digital nomads thrive and network. It has excellent wi-fi. This may seem like a given in a hotel, but not every hotel in the area will offer you such great free wi-fi. Many places may charge a small fee or won't have good working internet. 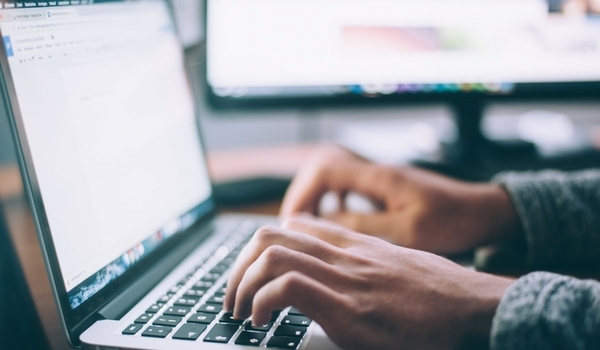 If you are in the area for work or simply like to have access to a network to keep in touch with family or plan your next trip, you won't be disappointed with the internet access at the Akyra. It has a beautiful infinity pool. If you visit in the hottest months of the year, you will want to go swimming. Whether you want to spend a day at the pool and relax while reading a great book or you want to take a dip after a long day of exploring, you will love the beauty of the hotel's infinity pool and the views of the city. If you're visiting with your children, you can rest assured that they will enjoy swimming in this fun pool for hours on end while you can lounge around on the sun beds or even get one or two drinks at the bar while you keep an eye on them. The rooftop bar is a great place to hang out at. Whether you just want to relax at the hotel after exploring the city and the nearby areas or you would rather get drinks with friends in the comfort of your hotel, the rooftop bar at the Akyra has a great environment. It's a fabulous space with comfortable places to lounge around at, with a fabulous view of the city, and of course, delightfully delicious cocktails that are some of the best in town. The music is equally satisfying, so if you want to invite guests to partake of a fun atmosphere and good drinks while staying at the Akyra, it's the perfect experience for a memorable night. The views from the rooftop are amazing. We can't get enough of the rooftop views at the Akyra, where you can see the distant hills and watch beautiful sunsets. It truly is the perfect place for relaxing. Deluxe Suite: This large and comfortable bedroom is ideal for couples and includes a fully-stocked mini bar and LCD TV, luxurious towels, and of course, coffee. Many of the rooms also include great views of the city. Manor Suite: If what you are looking for is extreme comfort with plenty of space, the Manor Suite will give you all this and more. A large bath, a perfect spot for lounging around on sofas, and comfortable beds. The location is superb. Located downtown, this Chiang Mai old city hotel is situated in the ideal area for anyone who wants to explore the town at any given moment. You don't have to worry about being stuck in the middle of nowhere to have a relaxing and private experience. Akyra brings luxurious and exclusive comfort into the city making it the perfect juxtaposition that somehow works. Being centrally located is definitely something that you will want in Chiang Mai as there is so much to do and see within walking distance and you won't wan tto miss out on having a fun-filled day by being too far from it all. There are plenty of things to do. The Akyra also makes sure that you always have something to do if you want to. The hotel offers an Elephant Day Care Package, art classes, cycling, local market tours, yoga, photography tours, or even a boot camp. As you can see, Akyra is an incredible hotel with not only plenty of gorgeous amenities and luxurious rooms to stay in, but it also makes your stay an easy and comfortable experience. Whether you want to stay in and do nothing by the infinity pool while you sip on delicious cocktails or you ask Akyra for help in exploring some of the best things to do in Chiang Mai, you can rest assured that it is a place unlike any other.